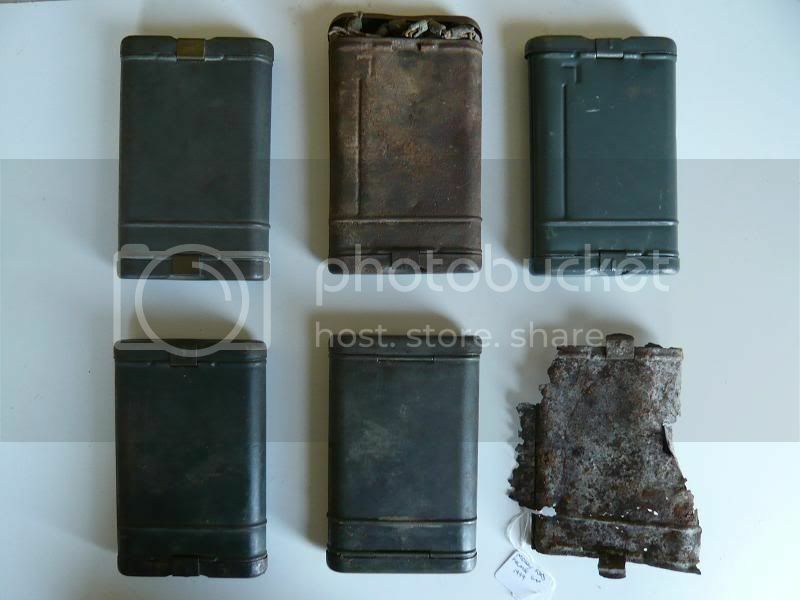 K98 cleaning kit / Reinigungsgerät 34.
re: K98 cleaning kit / Reinigungsgerät 34. Looks a nice clean example. That's a nice cleaning kit : again, these are gradually becoming harder/more expensive to find. Here's my little collection, most of which I acquired cheaply several years ago. Nice collection,are any of them maker marked,are they complete,steel oilers or plastic.? Ow - now you're making me work ! ab 44 - complete, black plastic oiler ( ab may be incomplete, 'a' is stamped faintly ). Moissy Ford Relic - no markings, no oiler.......but It Was There !